There is a lot of enthusiasm surrounding 3D printing these days. We are part of this movement working to discover valuable uses for 3D printing, otherwise known as additive manufacturing. Our focus on ceramic material produces the best materials for diverse industrial, consumer and design industries. Tethon 3D manufactures ceramic powders and photo curable ceramic and iron polymers for 3D printing. Tethonite®, Porcelite®, Castalite®, Vitrolite®, Flexalite® and Ferrolite® are registered trademarks of Tethon 3D. Tethon 3D materials and 3D printing processes are covered by US Patents and other intellectual property. 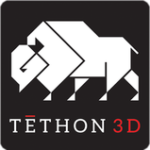 Tethon 3D was founded in Omaha, Nebraska in 2014 and is privately held. 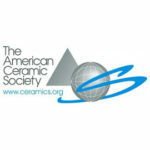 The company is a corporate member of the American Ceramic Society.